Sidney Street Shakers bring the jazz age to life. Masterful clarinet arpeggios, soulful cornet melodies, wild trombone slides, articulate guitar solos, exquisite piano strides, and powerhouse bass saxophone lines come together in spectacular harmonious cacophony. 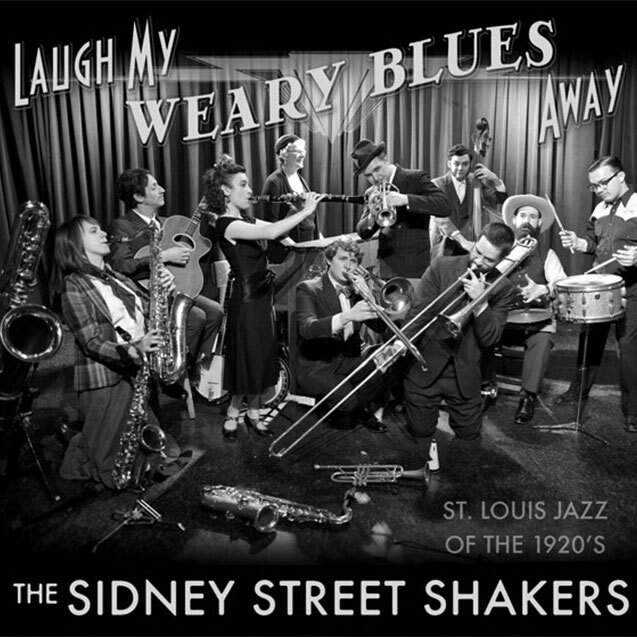 Founded in 2013, the Sidney Street Shakers are an 8-piece traditional hot jazz band who share members with touring acts Pokey LaFarge, the Hooten Hallers, and World’s Finest Apples. They perform exciting renditions from the canon of 1920s and 1930s jazz classics, but focus primarily on the music of St. Louis as well as their own original tunes. The listener need not be a jazz aficionado to appreciate what the Sidney Street Shakers have to bring to the table, though. It’s just fun, good-time dance music that swings.